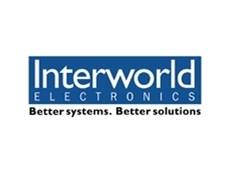 Interworld Electronics specialise in Industrial and Embedded PCs, Medical Computing, Remote Power Management, Computer Telephony Communications, Data Acquisition and Remote Power Management. 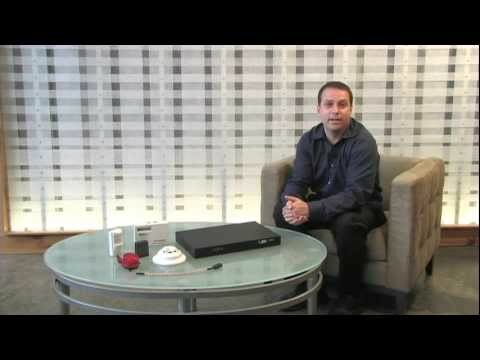 Remote Power Management allows computers and network equipment to be remotely rebooted. Environmental threats in your server room can cause a lot more damage than hardware or software problems. Redundant hardware, backup tapes, UPS battery arrays, generators and other fault-tolerance measures can all be rendered useless if your server room overheats or floods. Environmental Monitors protect server rooms, data centres, laboratories and outdoor facilities that require climate monitoring and control. Monitor critical sever room environmental and security conditions The ENVIROMUX Advanced Server Environment Monitoring System utilises an array of sensors to monitor critical sever room environmental and security conditions. The system will notify administrators when an environmental sensor goes out of range or a security sensor is triggered. Wide range of sensorsConfigurable sensor thresholdsNotification via email, alarm beacon, front panel LED indicators or Web pageCompatible with network management (SNMP) softwareSends SMS messages (via external GSM or 3G modem)Optional Management software provides a graphical user interface that can manage up to 3000 ENVIROMUX SystemsIP based camera supportProtect small to medium server installations The ENVIRONMUX-MINI-LXO, ENVIROMUX-5D, ENVIROMUX-2D, ENVIROMUX-MICRO and ENVIROMUX-1W are ideal for small to medium sized server installations, laboratories, cold storage areas.Web-Based Remote Temperature, Humidity and Dew Point Monitor The extremely compact Watchdog-15 and Watchdog-100 Climate monitor can be placed almost anywhere. Built-in sensors measure temperature, humidity and Dew PointUser defined alarm points can be set to notify system administrator when extreme conditions occurWeb-Based Remote Monitors The sophisticated rack mount Watchdog-1200 and Watchdog-1250 have built in temperature, humidity, airflow, light and sound sensors as well as the ability to add additional sensors. 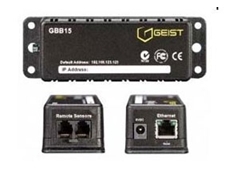 Supports a wide range of external digital and analogue sensorsMonitor Temperature, Humidity, Dew Point, Moisture, Water Leakage, Air Flow, Smoke, Voltage and CurrentBuilt-in Web Server with IP Camera supportPrevent a server room catastrophe and protect your assets with Environmental Monitoring Systems from Interworld Electronics. Interworld Electronics' range of Remote Power Management and Power Cycle and Reboot Products allow the power supplied to computer and network equipment to be monitored, managed and controlled from a remote location.Ensure your power supply is always availableThe PTS Series Power Transfer Switch automatically switches equipment to a backup power source. Cost effective redundant supply control Robust Out-Of-Phase Switching 100% Up-TimeReduce Energy Costs and ConstructionA cost effective method to restart remote devices, it gives users or administrators the ability to perform this function from anywhere. Manage expenses related to powering IT equipment. 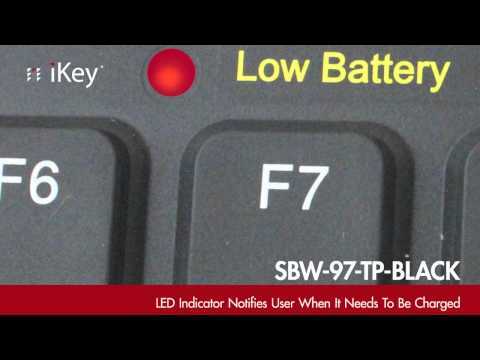 The MPC Series not only provides reboot switching it actually Monitor power to equipment and automatically notify administrators when changes in current levels, temperature, circuit breaker status or other factors exceed user-defined thresholds. Total power usage on each circuit can be graphically displayed to show spikes or drops in current, voltage and temperature.Reduce Carbon FootprintWhether you focus on reducing your carbon footprint or the utility bill, power monitoring and distribution equipment can provide the data you need. Power Monitoring and Management Reports kWh, kW, Amps, Volts, Temperature 16 Amp and 32 Amp Input Power Circuits, 10 Amp and 15 Amp Output Circuits Access to Remote Boot Devices can be via Dial-Up Modems or Wide Area Networks (WAN) using Telnet or Web BrowsersReboot switches are available with up to 20 power outletsManage Network Equipment and Power DistributionCombine Serial Console Management and Power Management with the CPM Hybrid Solution Remote control up to 8/16 serial console port Reboot up to 8/16 devicesSimply start your browser, enter the secure login details, and you're just a click away from remote serial console and power control of critical network servers and equipment. Industrial Rack Mounted systems designed and configured to suit your requirements.Chassis are available with removable/hot swap drive bays for SATA and SAS drives. Large range of compatible backplanes with support for (PICMG 1.3) PCI-Express HSBs, PCI-Express, PCI 32-bit and 64 bit add in cards. 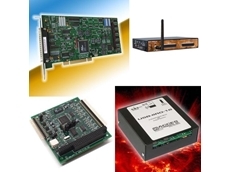 Interworld supplies Industrial Dual and Single Processor Motherboards with a variety of slot configurations. Power supply options include single and redundant power for mission critical applications.Industrial PCsInterworld Electronics carries a wide selection of Rack Mount Industrial Chassis. Chassis sizes range from space saving 1RU chassis through to high slot count 4RU and 6RU models. 1RU Servers 1RU Industrial Servers combine a custom designed low profile motherboard and processor with a 1RU rack mount chassis. Industrial Servers provides a range of starting point configurations from entry-level systems through to carrier grade dual Xeon high performance servers. 1RU Keyboard Monitor Drawers 1RU Rack Mount Keyboard Monitor Drawers are a space saving solution for the control of multiple servers. Available with built in 8 or 16 port KVM switches and optional daisy chain expansion modules they can control up to 128 servers.2RU Rack Mount Chassis 2U rack mount chassis are ideal for space constrained Internet and web hosting companies, ISP's, telecommunications and data centres. 2RU chassis are also well suited for deployment in mobile application such as aircraft, ships and road vehicles. 3RU Rack Mount Chassis 3U Industrial rack mount chassis provide a reduced space solution while still allowing full height add in cards to be inserted without the use of a riser card. This means that all the available motherboard or passive backplane slots can be used. 4RU / 6RU Chassis The 4RU / 6RU chassis range from Interworld Electronics offers flexibility in slot requirements, power supply and drive bay configurations to suit most applications. 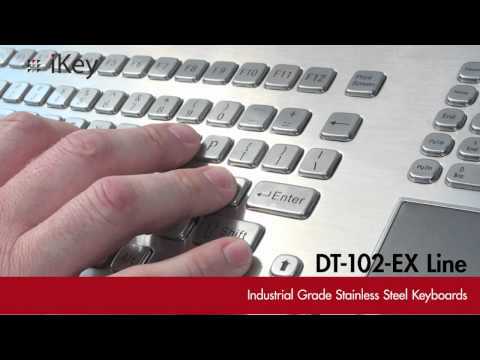 Up to 20 slots can be supported in varying combinations of ISA, PCI, PCI-X and PCI-Express. 4RU Chassis can have up to 18 drive bays, making them ideal for high density storage requirements. Contact Interworld Electronics for an extensive range of reliable Industrial PC'S and computing equipment compatible with your needs. 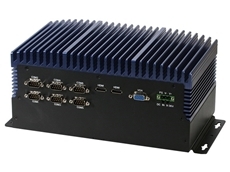 13/10/18 - Interworld Electronics introduces the new BOXER-6839 embedded box PCs from Aaeon, featuring Intel 6th/7th Generation Core processor based embedded controller.A high performance, standalone embedded PC, the BOXER-6839 combines fanless operation with a compact size, robust construction and extensive I/O. 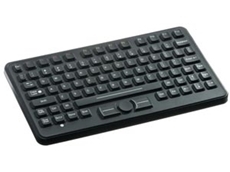 The BOXER-6839 is based on the Intel Q170 Chipset and supports i7/i5/i3, Pentium and Celeron multi-core processors to provide a state-of-the-art embedded computing platform. Key features of the BOXER-6839 embedded box PCs include two SODIMM sockets supporting up to 32GB of DDR4 system memory, three Gigabit RJ-45 Ethernet ports, six USB 3.0 ports and six RS-232/422/485 ports for communication; 2.5" SATA hard drive, which can be internally mounted for operating system and data storage; external CFast slot supporting the next generation Compact Flash storage cards; and fanless design reducing the possibility of airborne corrosive or conductive materials entering the system, thereby providing a long-term, reliable industrial computing solution.System expansion slot options include one PCI Express (x4) plus PCI Express (x1) or one PCI Express (x4) plus one PCI slot or two PCI slots. All models provide two Mini Card slots for additional expansion. The BOXER-6839 provides three independent video outputs via one VGA and two HDMI connectors. The BOXER-6839 operates from a wide range 9 to 36 VDC supply, providing the ideal solution for embedded vehicle systems as well as digital signage and factory control applications.For more information, please visit the Interworld Electronics website or call +613 9593-7555. 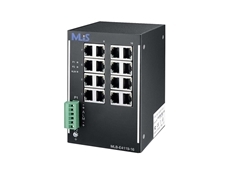 07/10/18 - Interworld Electronics introduces the MLiS MLB-E41119-16, a new 16-port unmanaged industrial Ethernet switch featuring 10/100 Mbps auto negotiating copper RJ45 ports.Designed for industrial applications, the MLB-E4119 features a rugged metal enclosure, fanless operation and wide operating temperatures (-40°C ~ +75°C). 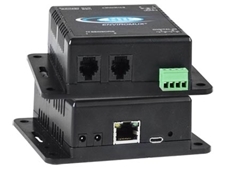 In addition, the Ethernet ports provide 1.5KV VRMS 1 minute (Hipot), 2KV surge protection allowing the MLB-E4119 to withstand high voltage transients caused by heavy machinery or lightning strikes.Key features of the MLB-E4119 unmanaged industrial Ethernet switches also include dual redundant 12-58VDC power inputs with reverse power protection; DIN-rail and wall mounting options along with a screw terminal power input block to suit industrial installations; and Layer 2 Line-Speed Switching Fabric, Multicast and a Broadcast Storm function protecting networks from unexpected traffic flooding. Recommended for general applications and harsh industrial environments, the MLB-E4119-16 offers plug-n-play ease of use, and compact size. These switches can be easily used on factory production lines, embedded into machines and intelligent transport systems or installed for simple network expansion.For more information, please visit the Interworld Electronics website or call +613 9593-7555. 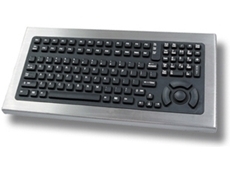 03/10/18 - Interworld Electronics introduces a new line of food grade stainless steel HMI panel computers powered by Intel Celeron N2930 with 4GB DDR3L 1333MHz on-board memory.The FABS Series from Aplex Technology has been optimised to meet the hygienic design requirements of DIN EN 1672-2 and DIN 42115, Part 2. These European standards establish extremely strict rules and conditions for the food and beverage industry. By meeting these standards, the FABS Series provides state-of-the-art food safety features, avoiding any health risks associated with poor hygiene or contamination that may occur during production. 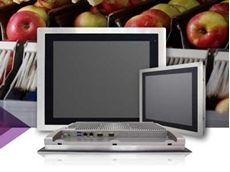 Key features of the FABS Series stainless steel HMI panel PCs include screen sizes from 7" to 21.5" with 7H anti-scratch highly durable PCT touch screen; SUS 304/316 grade stainless steel; IP66/ IP69K rated water-and dust-proofing; food-standard silicone rubber strips and sealant material (FDA 21 and CFR 177.2600); minimised grooves and gaps allowing liquid to freely flow over the surface preventing any accumulation of substances that may cause contamination; reliable operation and ease of cleaning; and extensive I/O interfaces.I/O interfaces in the FABS Series include 2 x COM, 2 x GbE LAN ports, 2 x USB3.0 and more alternatives via internal expansion modules and cards. 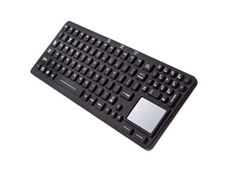 Communication and network options include 3G/ 4G LTE/ Wi-Fi/ BT/ GPS/ RFID/ NFC/ POE. An easily accessible internal 2.5” SATA3 HDD allows the operating system and data storage to be upgraded if required. Support for panel and VESA mounting makes the FABS Series convenient to install.The FABS Series supports DC 9~36V power input and an operating temperature range of 0°C~50°C with a wide range -20°C~60°C option also available. Operating system support includes Windows Embedded 7, 8.1, Windows 10 IoT 2016 and Linux.The FABS Series bridges the gap between information technology and operation technology for monitoring and control applications to provide a high performance system that is safe, hygienic and reliable. 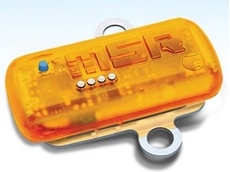 25/09/18 - Interworld Electronics introduces a new range of standalone data loggers designed to continuously record shock events during goods transportation.The new MSR175 data logger uses high-resolution sensors to record these shock events, allowing users to accurately analyse the data and ascertain the cause of damage to goods during transportation as well as help them improve transport packaging.Key features of the new MSR175 data logger include two 3-axis acceleration sensors (± 15 g and ± 100 g) integrated to record shocks at a measurement frequency of up to 5000/s; installed memory capable of storing over 2 million measured values, which is sufficient for more than 1,000 shocks; ability to measure and record temperature profiles from -20°C to +65°C; and optional factory installed internal humidity, pressure and light sensors also available.The measured data can be quickly transferred to a computer via the USB port. The data logger comes with the MSR ShockViewer analysis software, which is tailored to the requirements of transportation monitoring and enables analysis and graphical representation of the recorded data as well as reports to be automatically created.